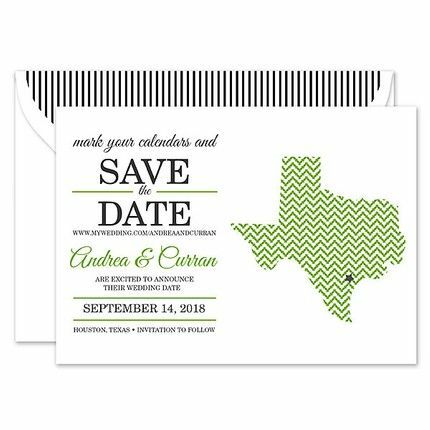 Perfect for a Texas wedding, this textured white card features the state of Texas on the right side of the card filled in with a green chevron pattern. A star sits atop the city your choice. Customize the wording on the left side of the card to complete the look.